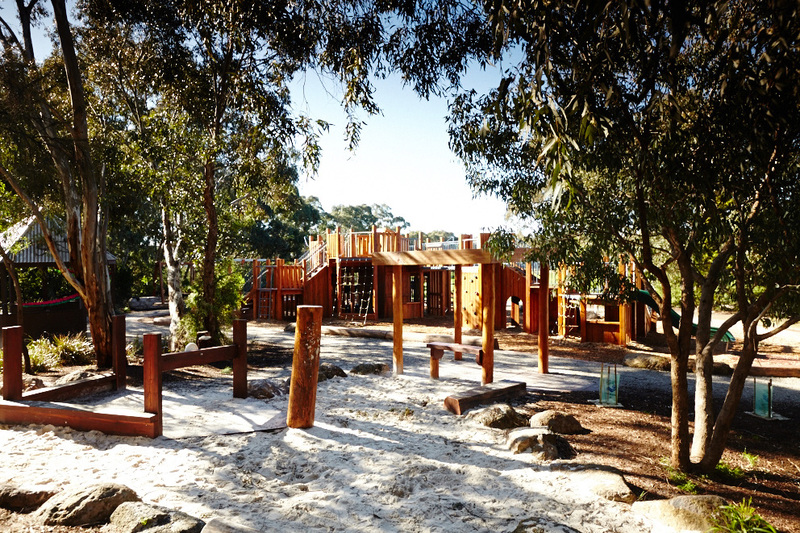 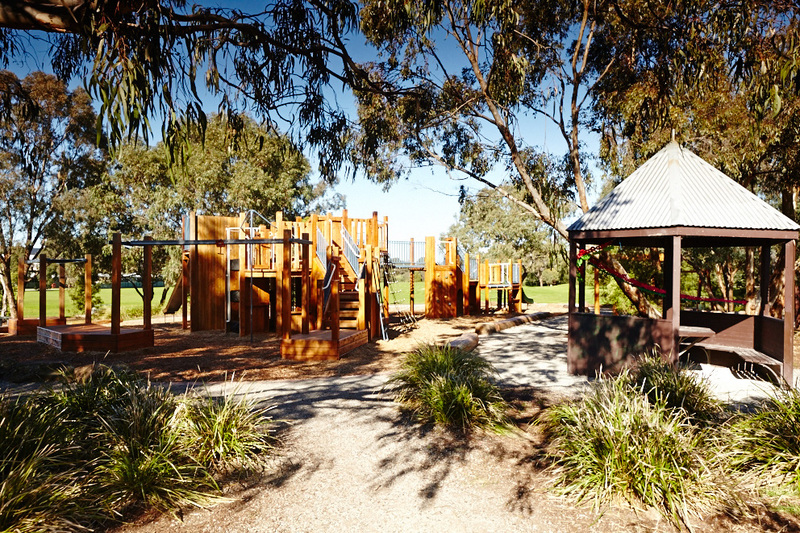 Originally designed by our director Mary Jeavons in collaboration with the local community 21 years ago, Mary was once again involved in the rejuvenation of this beloved local playspace in Northcote. 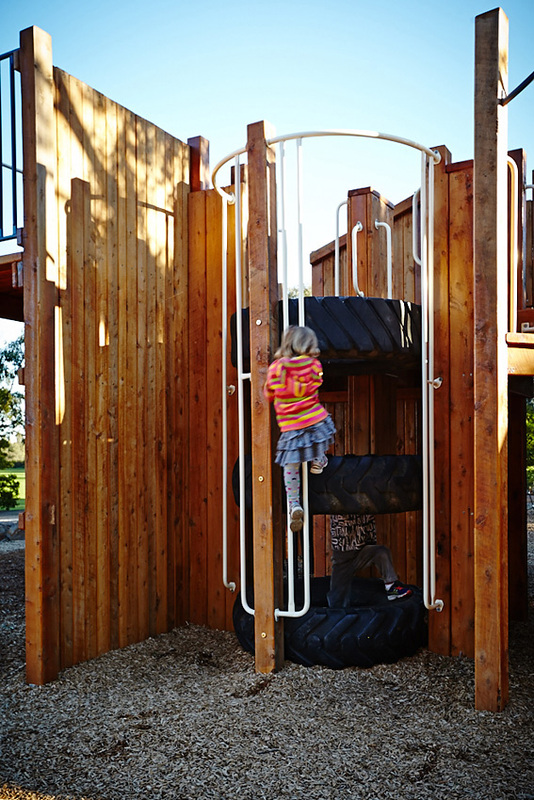 This resulted in a range of creative design outcomes that are more inclusive, usable by a wider range of ages and abilities, encourage creative integrated play, and use a range of materials in an innovative way. 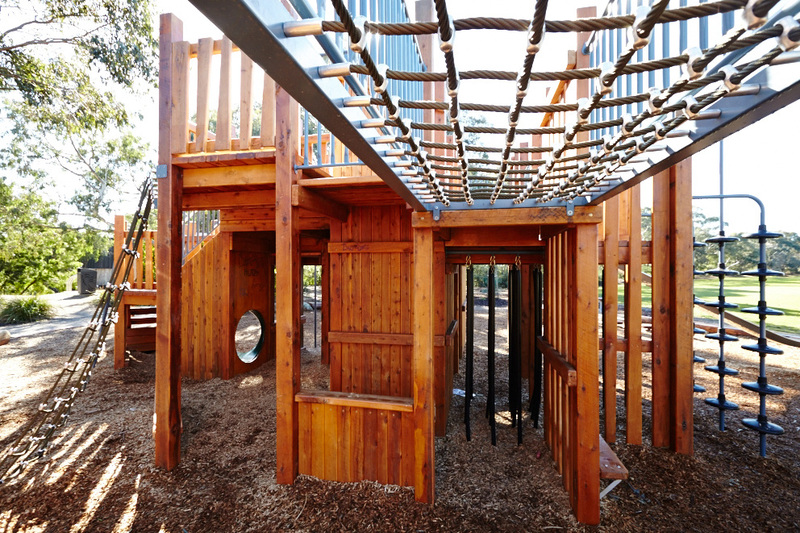 The placement of the elements and the relationship between them fosters creativity in play and obtains better value from each. 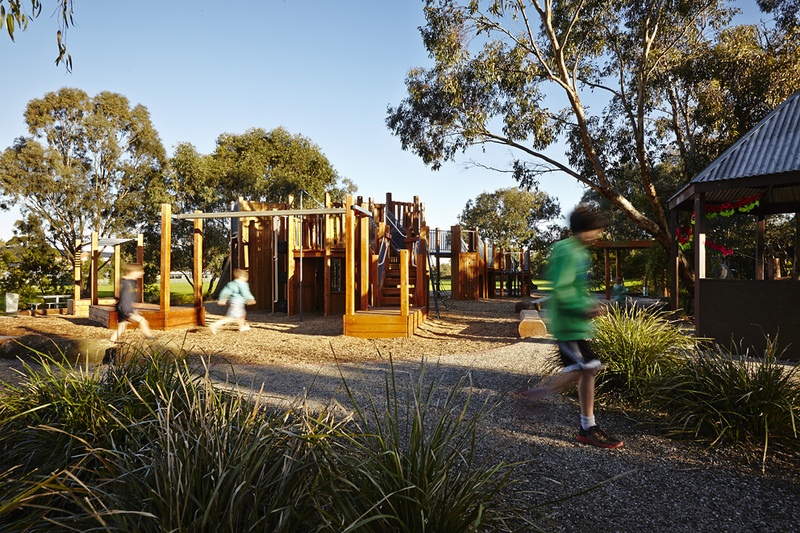 Many elements were re-used where feasible, minimising waste, keeping the design tight and the area within the existing footprint. 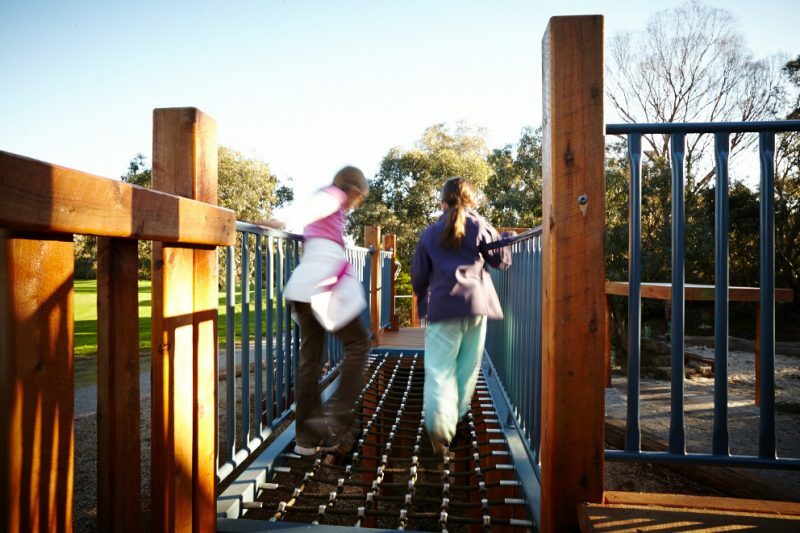 This playground welcomes people with a wide range of abilities. 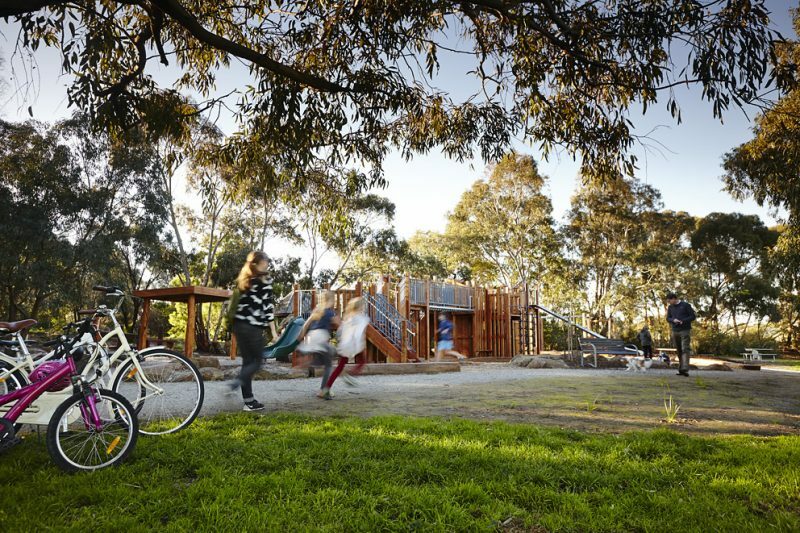 It has been designed to foster social interaction and community building, with many opportunities for residents and visitors to interact side by side. The design makes it easy for parents to engage with and supervise their children.